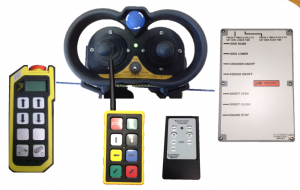 JMG can supply you with a wide variety of state of the art wired and wireless machine remote controls for almost any application. Full integration of receivers into the control panel for radio solutions and plugs for wired options can easily be incorporated in your control panel design. 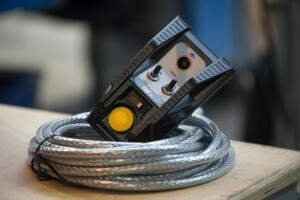 Handsets are IP65+ rated and developed for gloved hands in extreme environments in a way that is easy to use making it simple to control the most complex machines. We aim to respond to all online enquiries within 1 business day.